Utilizing techniques inspired by classic culinary craftsmanship, Gather in downtown Berkeley features organic local produce, pizzas, sustainable seafood, and humanely-raised meats that showcase the unique abundance of Northern California. We have a balance menu of meat and vegetarian offerings, craft cocktails, and local, sustainable wines. 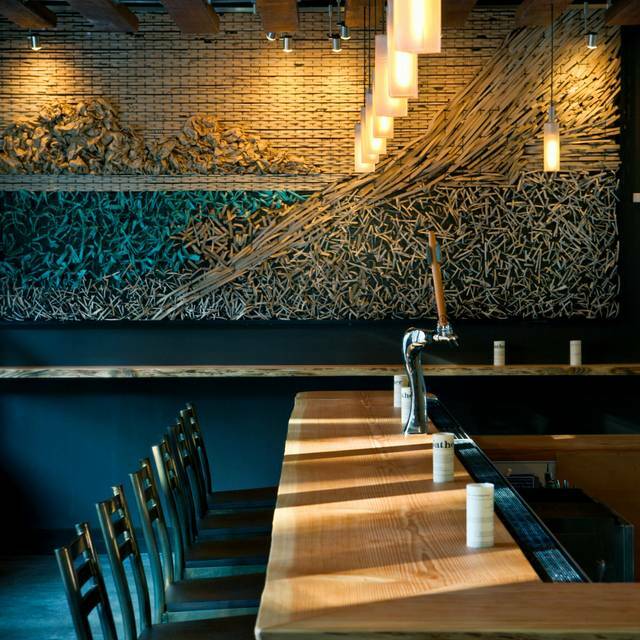 The experience is served up in a warm ambiance informed by honey hued reclaimed woods literally “gathered” from the surrounding area. 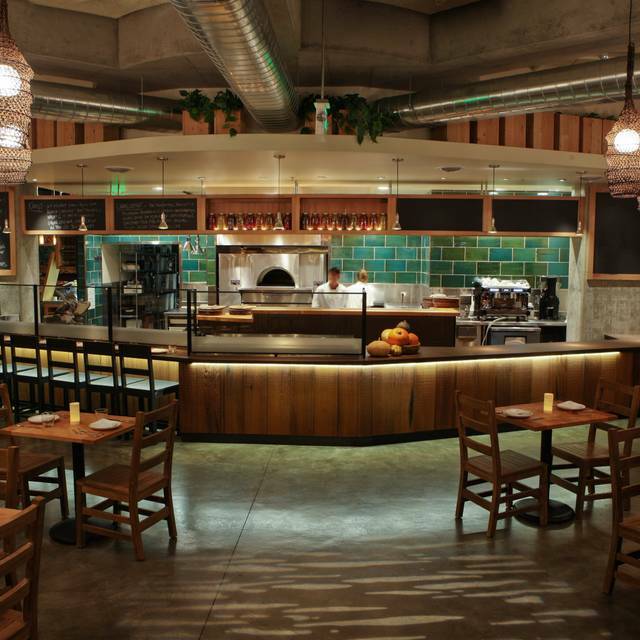 Directly across from the UC campus, it is conveniently located with parking lot beneath the restaurant just 5 minutes from Zellerbach Hall and Berkeley Rep.
Reservations accepted for Lunch, Brunch and Dinner. We can take parties up to 16 people at the start or end of dinner service Mon-Thurs, and parties up to 12 at the start of service Fri-Sun. 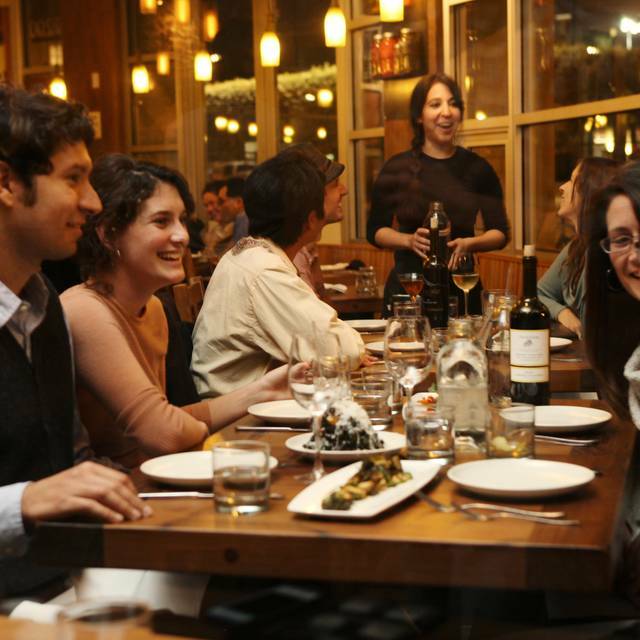 Groups of 12 or more may arrange seasonal prix-fixe menus a week or more in advance. The pizza was burnt, top and bottom (obviously left in the pizza oven too long). The olive oil cake for desert turned out to be one piece of olive oil cake about 3" x 1" covered with "meringue" which was simply whipped egg whites not cooked at all. The chocolate espresso pot de creme was very good. The service was adequate but slow (it was not very crowded). My two guests and I had a very good time. The server was very very good because she had really good suggestions and noticed that I was served the wrong drink. She fixed that right away. My guests shared the duck dish along with the red wine suggestion. They loved it. They didn't expect the wine to be that expensive, but found it delicious. My dish was creative and I would order it again. We loved the dessert, cake with lime and cream. Great for dinner, great for brunch. Been many times, never a disappointment. The food was fresh and tasty as always. The service for the first time was not customer oriented. The restaurant did not have the usual sparkling water option as the machine was down. When I requested plain soda water from the bar I was told that was reserved for cocktails. Not friendly. Delicious meal before seeing something at Berkeley Rep. everything was so yummy - great flavors. About half-full on a Thursday night. Little gems salad was large and overdressed but tasty. The duck for two people was very well done. Chocolate gelato made with coconut milk was rich, unctuous and delicious. The Merlot recommend By the waitperson was a little too big and alcoholic for the meal. Nice relaxed atmosphere. All was great! Only small issue we had was having to wait 17mins ( I timed it)...but the server was very polite and apologized for the miscommunication between the team. They made up for it by getting our food and drinks to us in a extremely prompt time. The service here is terrible. The guy gave us the wrong food multiple times, then made us give it back after we already started eating it. He actually made me put back the pieces of chicken from my plate back onto the serving plate for him to throw away after I had already taken a bite. We sat at the bar before dinner, and had a great experience. The music was great, bartenders friendly and engaging, and it was overall great. Dinner was fantastic, as usual, as we got to share what we have grown to love with a friend from out of state....fantastic, as always! I've been to this restaurant before and enjoyed the food. This time, I attended on Sat. at 11:45. The menu was still the "breakfast/brunch" menu, which I hadn't seen before. The service is somewhat slow, but that wasn't a problem for us because we weren't in a hurry, but it's something to keep in mind. They also have a tendency to want to take your plate away before you're finished. But the food is excellent and I'd go back again. Foremost the service was great! Enjoyed the veggie dinner served with artistic flair and light portions. Although my cocktail took a while to receive, it was different in a good way and easy on alcohol. Nice ambiance and pleasant Hostess. Earthy options served with local ingredients. Note: if you want bread with dinner (I always do) they will bring you a big roll with butter for $2.00 extra. I am sorry to say that my tuna sandwich was completely overpowered by too much dill. Cappuccino was excellent. Had Brussels sprouts appetizer and a $17 burger with fries, big mistake. Brussels sprouts were coated in a toffee-like sweetness, didn't work. Should've gone to In-n-Out for the burger. 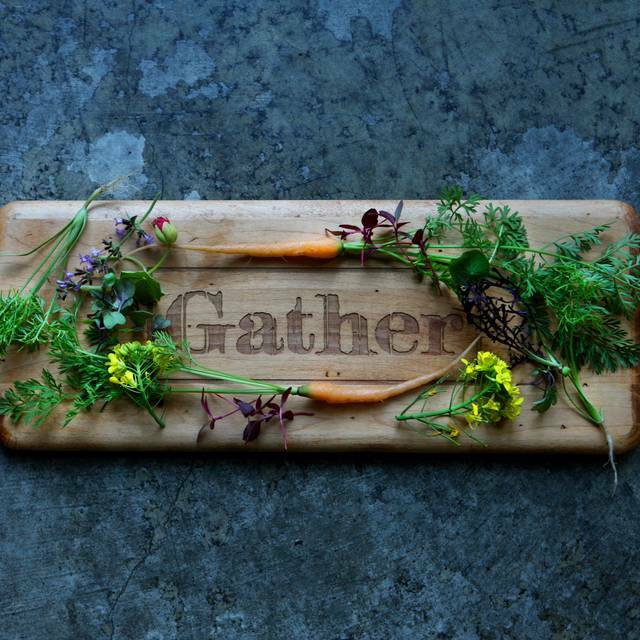 What a great dining experience with Gather, I might come back to try the different items. Love, love, love Gather. My husband and I are never disappointed. Our only wish: that there was at least one more vegan entree option. Delicious classic eggs (poached medium perfectly) and bacon (nitrite free). Gluten free toast. Friend had the burger (free range quality). Wonderful service and across street from University. Also honey ginger is super delicious. Street Parkimg can be challenging. If find a space remember to “feed the meter”. And parking garage on Kitridge. Place has great vibe and spirits too. “Clean” food. 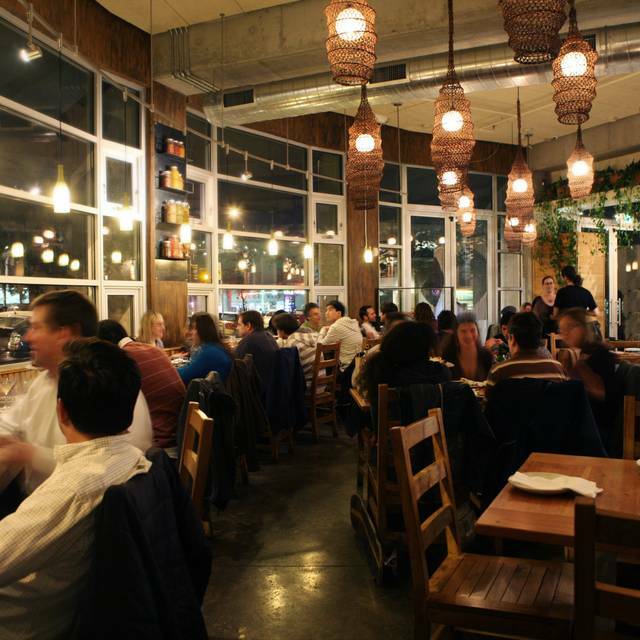 casual, great food, very friendly. enjoyed our meal. Good but dissappointingly unremarkable. the ambiance, though trying hard with decorations and lighting, feels a bit cafeteria-like, certainly not on par with the prices. Service was lovely. We were sad the famous kale salad had been taken off the menu. Truly delicious food and good service, but the music was way too loud for dining. When happy hour ended the music volume was turned way up and our table of 20 something’s couldn’t hear each other without almost shouting. Go early or not at all. We come here a few times a year and always enjoy the seasonal offerings. And the bartenders make excellent cocktails. This visit we shared the burrata small plate with beets, almonds, delicata squash, citrus and mint - excellent. I had the fettucini with mushrooms and butternut squash - also excellent, though somewhat over-salted. My husband had the Mt Lassen trout which was also excellent. For dessert we shared the olive oil cake - a flavor sensation. Service was great. Our only issue was that they need to be a bit lighter with the salt. We were looking for a spot to dine with friends before a show at Freight & Salvage. 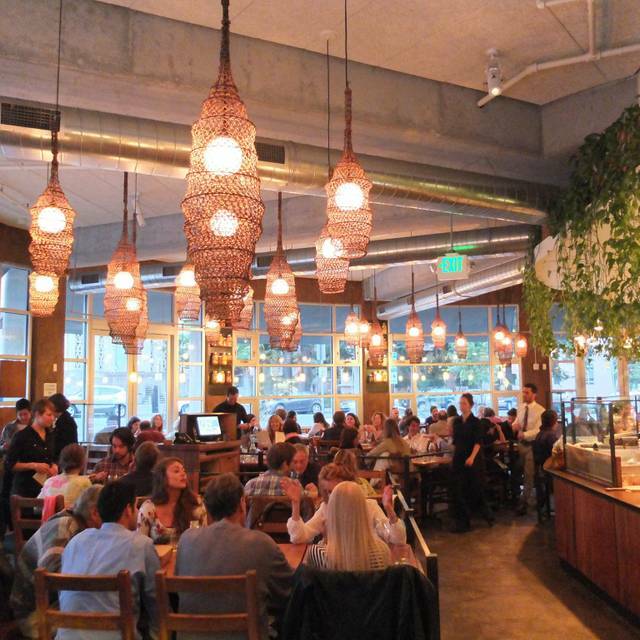 It was the best meal we’ve had in downtown Berkeley. The duck was excellent. But more than anything, the service was great. It was our first visit and I will definitely return. Something has changed since the New Year. New menu, new dishes, smaller portions, higher price. Not a good changes . Overpriced and not enough food on the plate. This was a great experience- the food was executed perfectly, they were very accommodating of my gluten free and lactose intolerant, and no solid consumption friends. The wait-staff was very knowledgeable and her suggestions were on point. Will definitely be returning. Upon arrival we were seated promplty within the warmly lit ambience. I had been here before but it was my dates first time so it was a joy to watch his face light up with each bite. I can still imagine the harmonic flavors of the locally caught trout, I think the chickpea fritters brought a tear to his eye...it was just perfect. 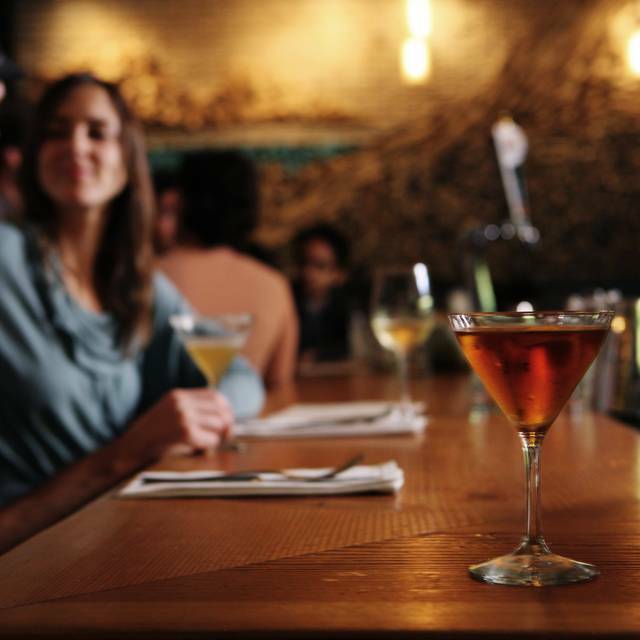 The housemade cocktails and desserts are a encouraged addition to the meal. 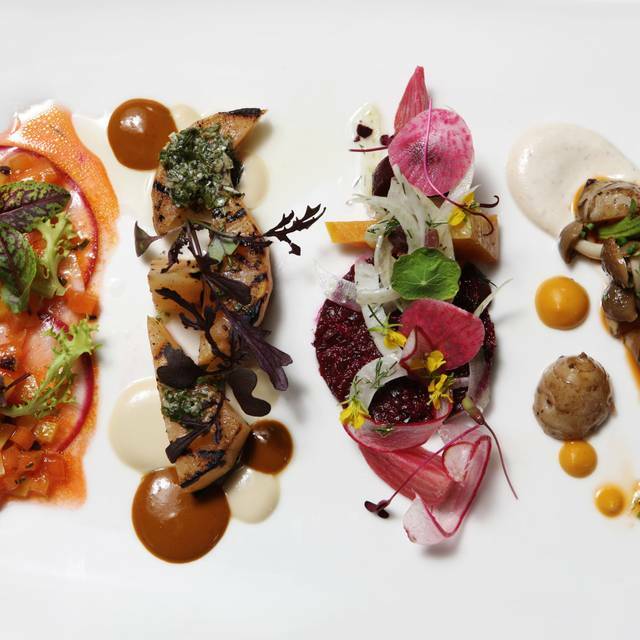 The plating is artful and I really appreciate the intention put into the orchestration of each dish. Limited, but very nice menu, featuring craft pizzas and sandwiches. Very fresh and well selected seasonal produce are used in all dishes. Service is exceptionally friendly and very efficient. Good food but would have rated it 3.5 overall if possible for these reasons; entree portions are and have always been small, noise level makes it hard to speak w friends and seating is very uncomfortable. THANK YOU so much for a wonderful evening! Loved, loved the brussel sprouts. Mushroom pizza was perfect. Love the ambiance too. Excellent service,attentive but not intrusive. Fresh local ingredients. We have variety of food restrictions amongst our group and the menu offered selections for everyone. Thank you. 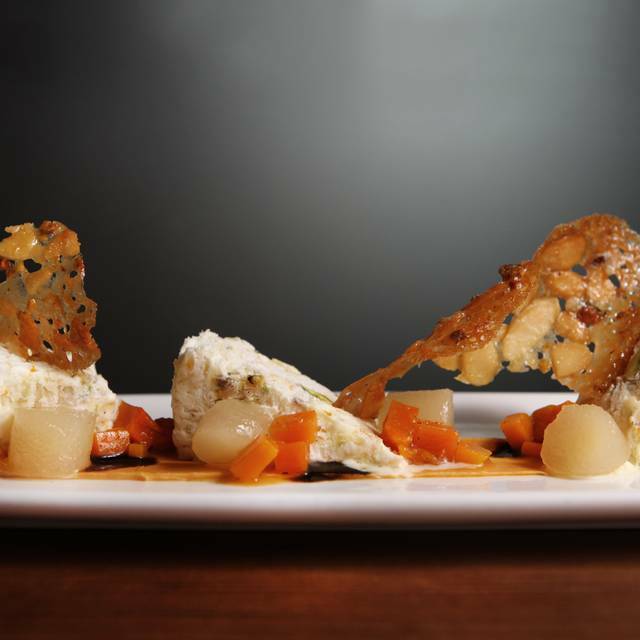 Located within walking distance of Berkeley Rep Theater, two BART stations and municipal parking, Gathering is an excellent choice for the gluten-free foodie. Love this place...So cozy,,,as always creative dishes and exotic flavor combinations. A bit pricey but the quality of the ingredients makes it worth the splurge. Good homemade pasta, great service, lovely atmosphere, fresh food thoughtfully prepared - a reliable friendly gratifying place to have a good dinner. I especially like the lighting- it seems to cast a golden glow over the whole room, which is spacious. And although we were seated right next to another table, there was a glass wall between our tables, so we had complete privacy. Service is easy and perfect, not pretentious, hurried, or overly friendly. We had a reservation and we were promptly seated. The service was excellent as was the food. Fresh and delicious. In a word or two: we arrived at 5:30 and didn't get our dinner until 10 to 7. And the drinks were mixed up; however, the management comped them. Not a menu I was excited by. Service was excellent but the food was way too salty. My pasta dish was inedible because of the high salt content. Even the cake we had for dessert was too salty. I have liked this place in the last, but this time it was awful. Some of the food was marginally edible, and we had to wait unimaginably long to get our food. Not enough cooks in the kitchen for a busy night?